The trend in the world of fashion surely changes every now and then. The à la mode fashion in the 90s can rule the capsule collection that we have today. One of the crystal clear examples of this change in the world of style, fashion, and couture is the “flower crown” of the millennia — choker necklace. 1 What is a Choker Necklace? 6.1 Excited for the Summer? 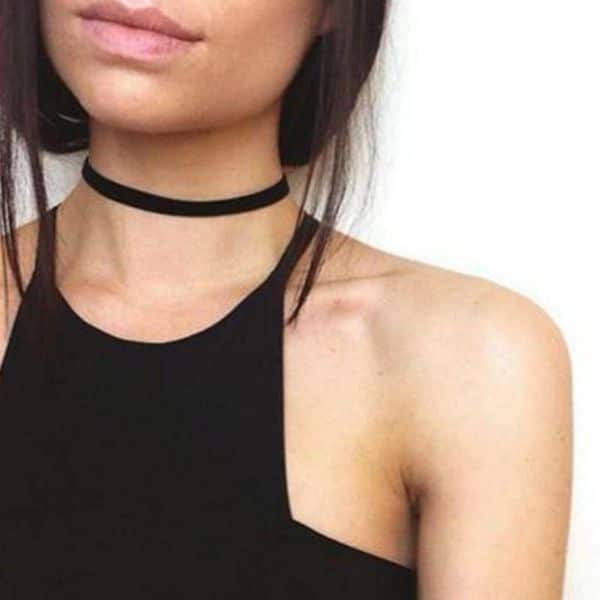 6.2 Looking for Your Everyday Choker? 6.3 Need Help in Enhancing Your Edgy Attire? Many of us would already have a picture of what a choker necklace looks like. From Hollywood actresses and celebrities who take over the stage during their huge performances up to the music artists who find choker necklaces very stylish and fashionable to wear on their music videos and concerts or just for day-to-day wear, who would not be aware of what a choker necklace is? Even the renowned music celebrity, Taylor Swift coined choker necklaces as the “new flower crowns” of this era. Choker necklaces are simply “je ne sais quoi”, the epitome of simplicity and elegance, a necklace that wraps around your neck smoothly and surely catches everyone’s attention. This necklace can be designed with leather, pearls, diamonds, gold, or silver that wraps around your neck with a tight fit. This trendsetting necklace is commonly known for its plain styles such as close fitting ribbons, leather or velvet laces that you can wear anytime and anywhere. But with the stylish innovative ideas of jewelry and fashion experts, the plain choker necklace has evolved with the accents of pearls, diamonds, charms, and many more. Talking about how stylish, glamorous, and eye-catching choker necklaces are, let’s take a closer look at how it evolved over time. The black choker is one of the most prominent choker necklaces that women have already graced their necks since ancient times. 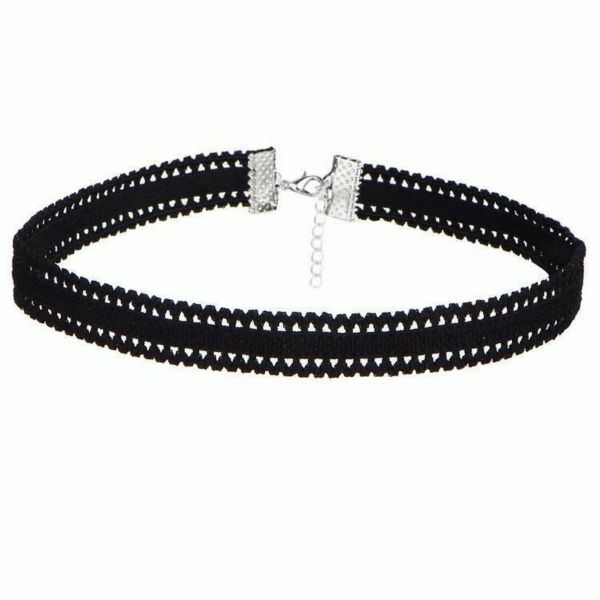 Up until now, the plain black choker is still hitting the spotlight in the world of fashion and jewelry. This black choker necklace is simple but exudes class. This is a minimalist type of choker that’s a perfect match for a basic wear making it look great. The black lace choker necklace is a proof of how choker necklaces have been innovated in the 21st century. 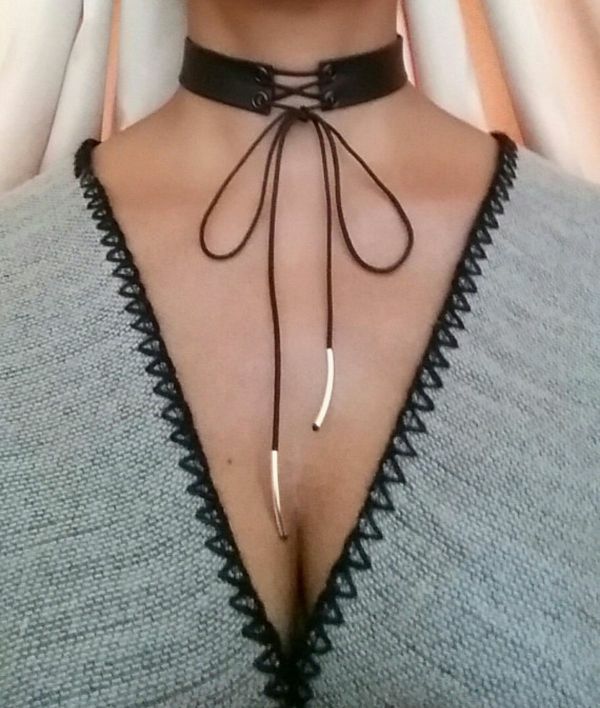 This wrap choker will surely add a glow to any outfit. You can pair it up with your jeans and shirt, or add it to a casual outfit. This nicely layered choker is graced with a simple pendant. It surely adds an old-fashioned accent to any outfit you wear. Adding a luxurious touch to your outfit is so easy with a gold necklace. Nowadays, gold chokers do not necessarily mean that you have to top it off with gems and diamonds. It doesn’t have to be that lavish, all you have to do is pair it up with the right dress to add glamour even with just a dainty, thin choker. A décolleté lariat choker necklace is the perfect trick to add glamour and fun to your outfit. It’s wardrobe friendly so you can surely use it with a simple tank top and jeans or you can wear it with a casual wear for a black-tie party. If you want to add more fun to your choker necklace, a lariat is a perfect match to your nicely fitted choker. It adds more accent and epitomizes sleek and stylish fashion statement. When it comes to fashion, choker necklaces are fun to play with. Multilayered golden chokers are incredibly a good idea to mix and match your accessories. Look amazingly stunning by wearing timeless treasure — a silver choker necklace that will never go out of style. Pair it up with your trendy off shoulder and crop tops to look more fabulous and sparkly. Silver choker necklaces will bejewel any outfit that you wear. Whether it’s too colorful, vintage-looking, or too classy and elegant, a silver multilayered choker necklace will surely glamour your look. 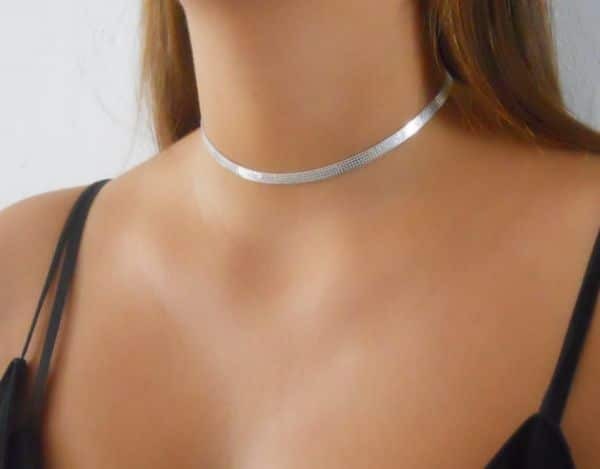 If you admire boho style, sun, or beach dresses with a round neckline, a layered silver choker necklace will not fail you in looking classy and elegant. Who would not love a classic silver choker necklace? Add a sparkling glow to your off shoulder top and look incredibly elegant and classy. According to ancient myths, pearls are the tears of gods and goddesses. Pearls are also known to symbolize love. It is believed that women who wear pearls on their wedding will never cry and will have a happy marriage. According to Hindu folklore, pearls are dewdrops from the beautiful night that fell into the sea. It is also believed to symbolize purity, love, and union which makes this Indian-inspired pearl choker necklace a good luck charm on your wedding day. The tradition of women wearing pearl accessories on their wedding day lives up until this day. However, the style and the fashion statement that pearls bring has innovated and turned out to be even more beautiful and stylish! 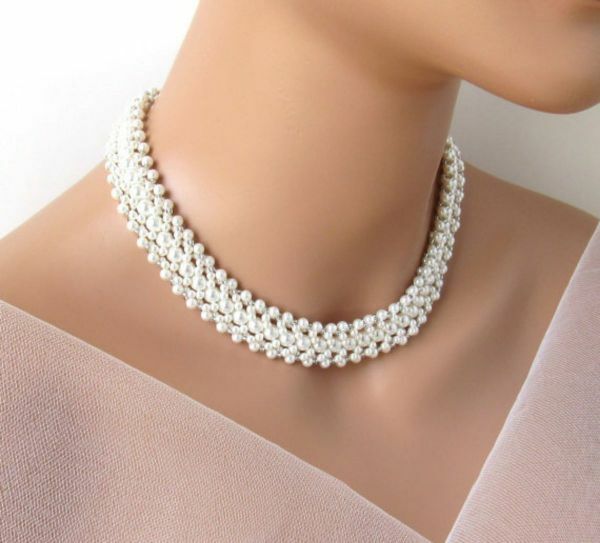 This simple and vintage pearl choker necklace never goes out of style. This beautiful pearl necklace will surely add a striking glow to your wedding dress. Diamonds are women’s best friend. Wearing choker necklaces with accents of diamonds will surely add an eye-catching sparkle especially for formal events such as. The classic gold choker necklace will accentuate every piece of clothing that you have in your wardrobe. The intricate design will certainly emphasize the beauty that you are. The minimalist necklace will be something that any woman would love to have. The simplicity of the design added to the classic feel will surely look great with your simple dress or blouse. An evening attire or formal clothes will look breathtaking with this diamond choker necklace. With the choker to accentuate your neck, you will surely be a head turner. With the growing popularity of Resident Evil movies and the Underworld films or the classic movie trilogy, the Matrix comes with the increase in popularity of wearing anything leather. Wearing leather chokers are really chic and comfortable. Cute and cozy, the Suade choker will look great with your boho style closes. 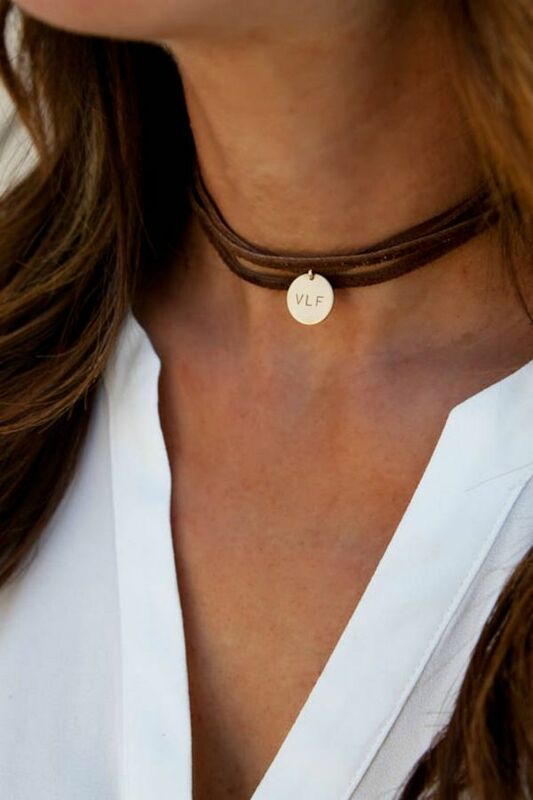 Summer is coming and you can never go wrong with this leather choker. Leather chokers will look great with your summer dresses or even in casual clothes. With its casual ambiance, you can never go wrong with wearing them. A pendant leather choker will look elegant when you wear it with flowy blouse or dresses. Wearing it with your boho styled dresses or clothes. A common misconception about velvet is it is stretchable. It is not! But they are soft and would really feel good 0n your skin with its smooth and cotton feel. Wearing velvet chokers has a comfortable feel to it. Adorned on your neck to enhance any outfit that you are wearing. Chokers with pendant look catchy and will look amazing with any clothes and style. The pendant’s elaborate design is eye-catching enough to make any outfit stand out! Adorned with pearls in the middle and both ends of the necklace, this choker screams elegance and sophistication. This will look elegant and sophisticated with cute jeans and a shirt. The 90’s is back!! 90’s is all about the chic and stylish tattoo chokers. Back then, every woman wears chokers to accentuate their style. Everywhere you look, you will surely see a woman wearing chokers. 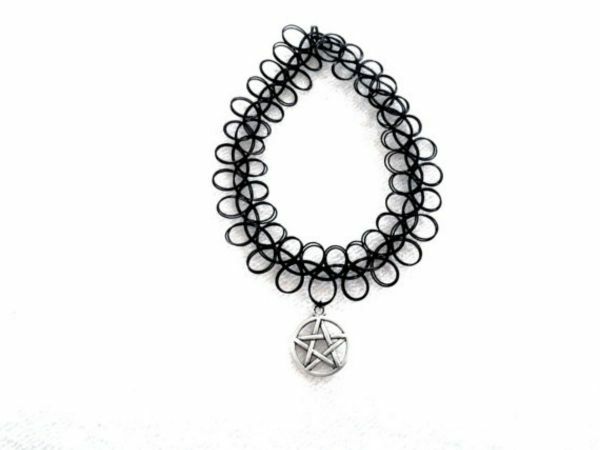 The colored tattoo choker looks adorable and striking when worn with a simple white or gray shirt with jeans. Colored chokers will enhance the simple clothes you are wearing. Pendant tattoo chokers are stylish yet comfortable around your neck. You do not have to wear any other accessory to make your look fashionable, all you will need is the pendant tattoo choker around your neck! Tattoo choker necklace will help emphasize that long and silky skin of yours. Be sure to wear chokers that will go well with your skin. During the Victorian Era when choker necklaces implied prostitution, Queen Victoria dared to wear choker necklaces that are made from luxurious pearls, gold, and diamonds. 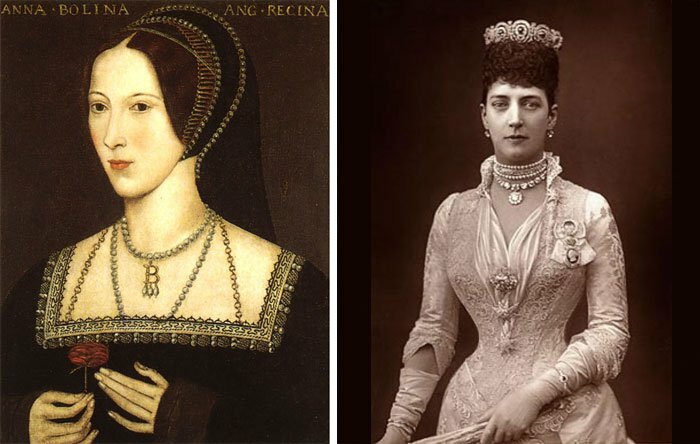 The one who popularized this fashionable accessory was the Princess of Wales, Alexandra of Denmark who wore rows of pearls and diamond choker necklaces. While in the 1900s, the United Kingdom’s most powerful woman, Queen Alexandra wore the controversial choker necklace to hide her scar. Choker necklaces are also prominent in Myanmar, Burma, and India even before there were a lot of symbolism and hidden meanings associated with how Western or European women wore this beautiful type of necklace that we have popularly worn today. 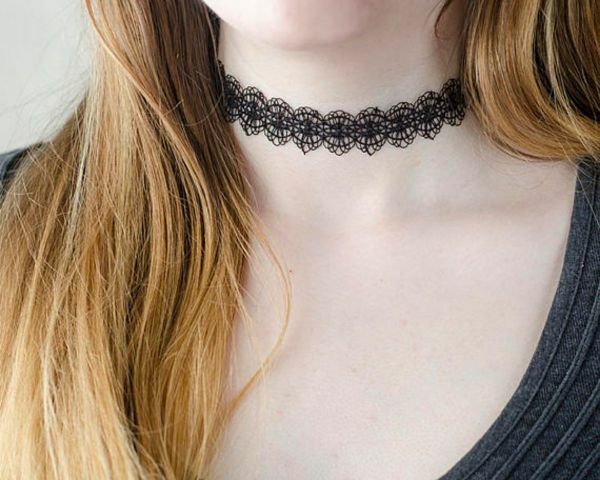 The earliest civilizations could attest how these negative connotations to choker necklaces should not be generalized because these just merely tell tales. 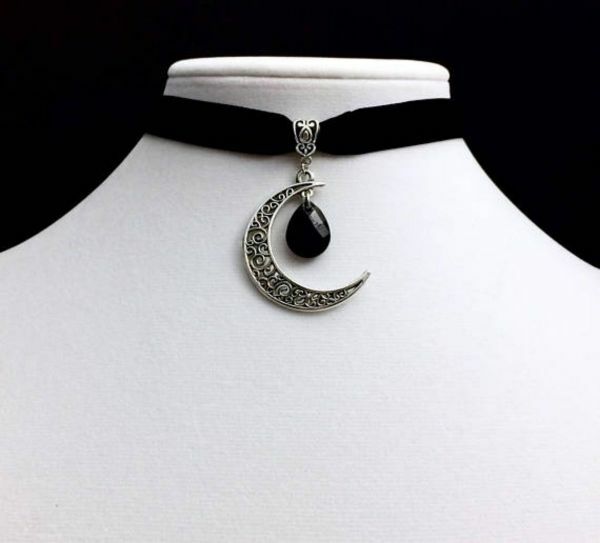 Throughout the history of choker necklaces in the different parts of the world, these controversial connotations are just a part of how it historically changed throughout time. Women of power who wore this type of necklace also changed the sordid association of chokers to a plain passion for aesthetics and fashion. There are some controversies about wearing it and how it entails promiscuous messages. 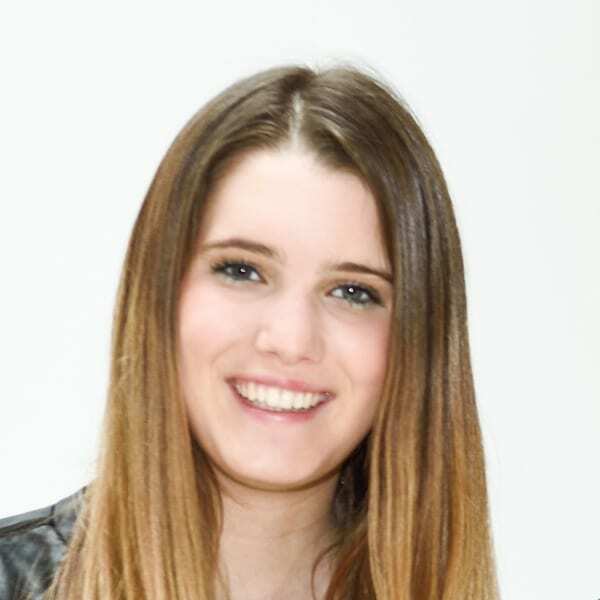 Beyond the fashionable and elegant-looking style of choker necklaces today is its symbolism, hidden, and deeper meaning all the way from how it was popularized by women and why it was used in different eras. In the late 19th century, it is a common belief that wearing plain, thin, red or black ribbon chokers or dog collars signifies prostitution among women. The history of wearing this kind of chokers in that era entailed submissiveness to men. This controversial interpretation on wearing chokers originated from the famous painting of Édouard Manet in 1865 — Olympia. In Olympia, a woman was naked while wearing a plain, thin choker. Because of this controversial painting, Parisians believed that wearing this type of choker symbolizes prostitute women. However, the sordid association of choker necklaces to prostitution has significantly faded when even ballerina dancers profoundly wore similar choker necklaces during that period. Meanwhile, during the Depression Era, black woven chokers are also believed to signify secret lesbianism. During the Depression Era, there was a rising of fear of lesbianism. Sexual freedom was not recognized during that time and it even implies negative association. Women were discouraged to work because the state of economy insinuates that it “takes away” the job of men. This is the reason why being a lesbian in the Depression Era was very difficult. Since being a lesbian was a taboo, it forced lesbians to just marry men even if it is not their gender preference which eventually led to the idea of wearing a choker necklace during this period is associated to secret lesbianism. During ancient times, wearing a choker also depicts slavery. This idea was taken from the African history of slavery in which captive men and women were forced to wear chains and iron neck rings. The chains in their neck were linked to another slave’s hand in order to avoid them from escaping. Africans in captivity wore these when they were transported to board ships or in the West African coast. In contrary, no matter how negative choker necklace’s connotation in antiquity was, the strong depiction of chokers in Egyptian and Ancient Mesopotamian’s history overrules. Choker necklaces were commonly worn by strong, powerful women during these earliest civilizations. Chokers symbolized protection and power. Women wore choker necklaces made out of gold which signifies the God of the Sun, Ra. Their chokers were wide which are meant to protect their neck which is a vulnerable part of the body. Back in the time of the French revolution, women wore red choker necklaces to pay homage to the fallen men and women because of the guillotine during the revolutionary period. Women also wore these chokers to show a mockery of the rampant beheading and bloodbath in their nation. The jewelry and accessory trends did not only become stagnant about how a choker necklace should be. Over time, we can witness how a lot of different choker necklace styles have emerged and made a new fashion craze. From simple and plain chokers came the rendition of choker necklaces. It’s already the year 2019 and some would ask if it’s already the end of the choker necklace fashion craze. Premier designers admitted that there is no such thing as the “death of choker necklaces“. They also add that chokers can be worn by men like Matt Lauer did on the Today’s Show. From its history, it only shows how prominent choker necklaces are in the fashion industry. Not only was it worn by any woman, but it was worn by women from royalties. As of today, chokers still have the limelight in the world of aesthetics and fashion. 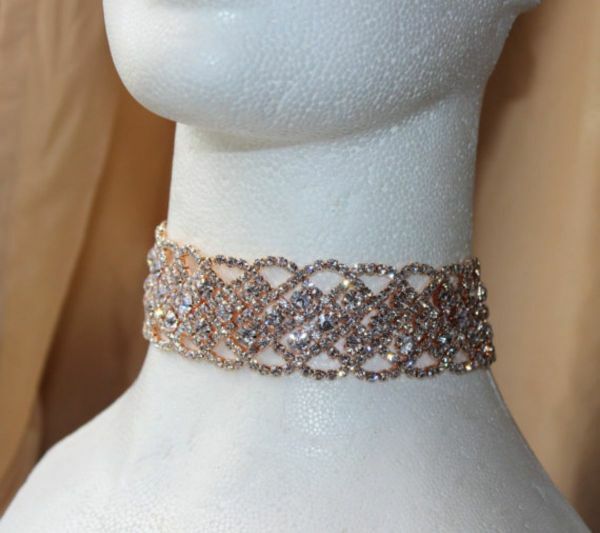 We have dainty, wide, velvet, gold, silver, multi-stranded, and chokers engraved with gems. This is how the fashion craze for choker necklaces has become. It’s not only because it’s a trend, but because it became easier and more comfortable to wear. From the renditions of its style, it became so much sexier, more glamorous, so much appropriate for any wear that every woman would not want to take it off anymore! And, in the event that you’d like to familiarize yourself more with the distinctive sorts of chokers and their possibility of styling and wearing, at that point keep reading. You will discover a few celebrity fashion tips on how to shake these babies. If by any chance that you are into bohemian style and chokers, you are more than welcome to accessorize with a chocker that has flowers on them. A choker with pendants such as feathers and flowers to accomplish a carefree vibe. Also, you can match your accessories with a flowy dress or skirts with flower embellishments. 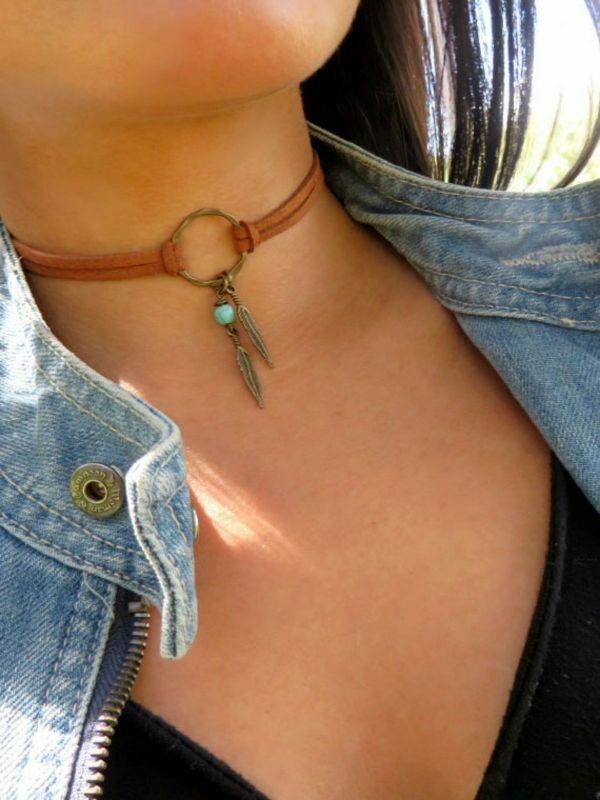 Chokers with turquoise pendants would also look good with the whole boho style. 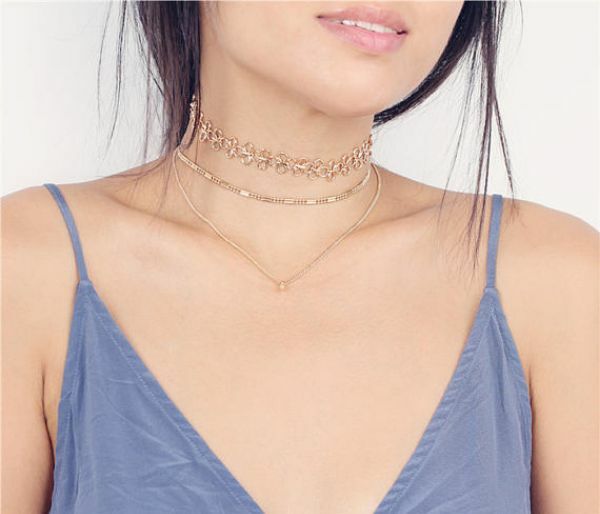 Looking for Your Everyday Choker? Chokers are an extraordinary way to make your casual look more catchy and edgy. You just need a black choker to achieve that. Black choker necklace is easy to pair with any kind of clothes. As a plus, you can include all sorts of jewelry and still get the smooth and smart look that you are trying to achieve. Need Help in Enhancing Your Edgy Attire? To accomplish a more daring and rebellious fashion, feel free to add metallic chokers. It looks exceptionally bold and spunky but at the same time smart and fashionable. Choker necklace is very stylish without being overpowering, it all depends on the design of the metallic choker. Choker necklaces are worn around your throat and tighter compared to your average necklaces. There are different styles, from simple to embellished, which can be used in any event that you may attend. But remember, chokers are supposed to adorn your neck but should never be too overpowering, so you have to be wary of the length and size when you are choosing your choker. The color of the choker should also complement your skin tone and outfit. Comfortability should also be a huge consideration when wearing a choker. If it is not for you, there are a lot of other necklaces available to choose from.